Great stay at a spacious house. We had more than enough room for our whole family. The kitchen had everything we could have needed. Seating areas were comfortable as well. Very easy to book, arrive and exit. The only reason we couldn't give 5 stars is because it wasn't on the water. Thank you for a wonderful, memory-filled stay!! Great place for a big group. We had a group of 14 and there were tons of beds. 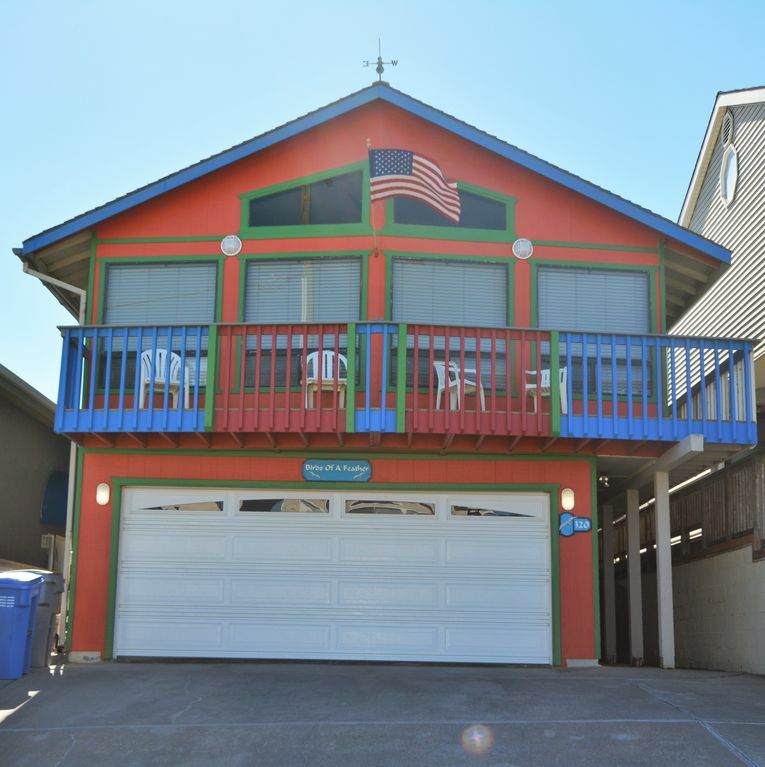 Everything you could possible need in the kitchen, Games, movies, activities and we were just steps from the beach. I highly recommend it. It was well supplied and really close to the beach. It was large enough for all 16 of us. There were minor repairs that might be needed in the future, but nothing that preventing us from enjoying the house. I was suprised that there was vehicle traffic on the beach that preventing setting up close to the water. We just set up further away from the water. I assume this is why it was not crowded like Pismo Beach. we all had a great time. we accidently left behind a picture of Frida Kahlo in the garage. we put it to the side so it wouldn't get harmed. would it be possible to have it mailed to us?. we will pay the postage. great location and plenty of room for all. Our group of 7 adults and 6 children were very comfortable at Birds of a Feather. There was plenty of sleeping space and enough bathrooms. Kitchen was well supplied and the area is quiet. We'd stay again. Well kept. Fantastic location. Very nice, friendly neighbors. Every thing one would need is there. Fantastic location for a family vacation. Perfect for party of 13: us, kids and grandkids. Our family had a great time being all together under one roof. Plenty of space, beds, bathrooms and a very spacious, fun great room. Everybody loved the foosball, nice big tv to watch movies play vid games. Small grandkids loved the little “Harry Potter’s closet” underneath the stairs. Enjoyed being very close to the beach to see the beautiful sunsets and even rent atv’s to have fun riding around the massive off-highway-vehicle area on Pismo Beach. They have in house tons of games, dvds, ping pong table in garage etc. great place for a large family get together.